Sometime mid-January I saw the news that there was going to be a “Swoon-along” and then all of a sudden there were 600+ people doing it. I bought the pattern when it first came out and seeing all these quilts motivated me to go through my fabric stash and choose some fabrics. 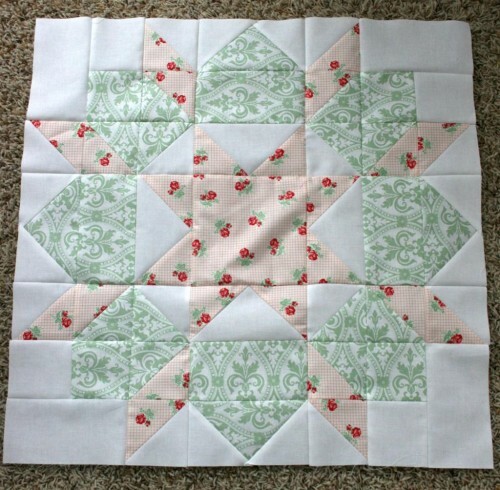 I ended up with Tanya Whelan’s Ava Rose for most of the quilt, with a few other fat quarters thrown in. 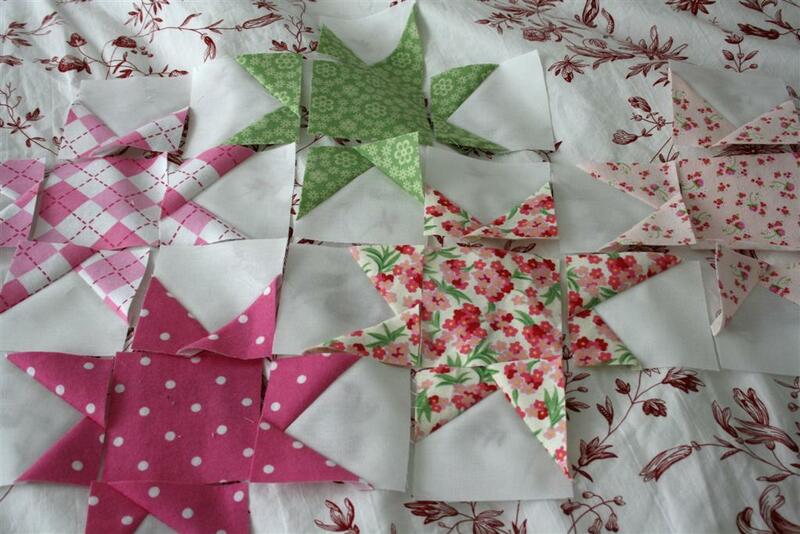 I’ve now made two blocks, so I guess although I’m a late starter, I’m in! I made these blocks and thought to myself that this quilt is perfectly named. I was swooning over how fabulous they are! 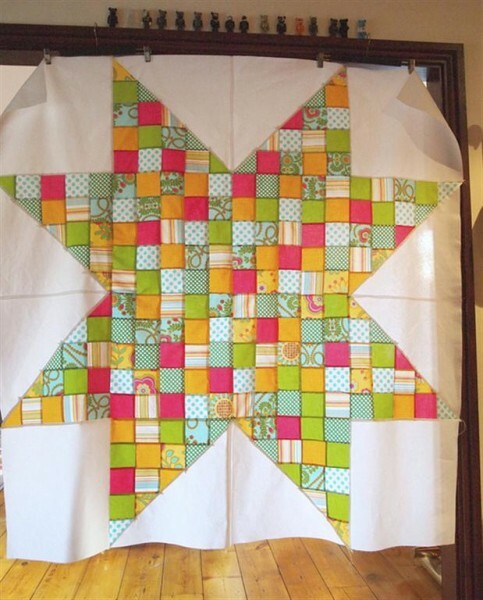 They’re huge blocks, 24.5 inches square, and the entire quilt is just 9 blocks. 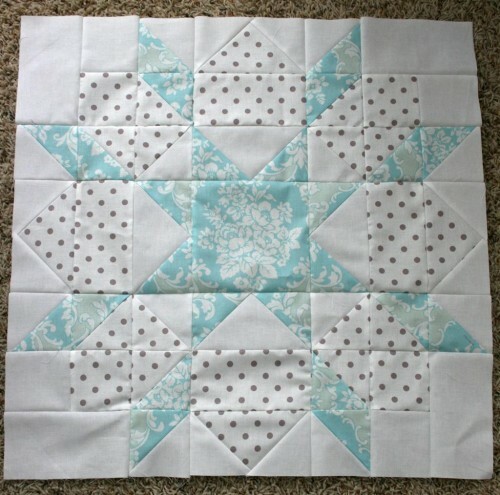 I love how neatly it came together, all the points matching up just right, and I’m generally in love with the fact that two fat quarters can make something so pretty! So I have 7 more blocks to go. Katy is already done with hers, so I’m really behind. I know I probably shouldn’t have started another project, but I like the pace that she is pushing and I’m hoping it helps me to get a lot more done than I would on my own. In fact, she’s already talking about starting another quilt along with another of Camille’s patterns mid-March. As both of those patterns are quilts I’m already interested in, it would be great if I could catch up and keep up and get a lot done! It’s from another quilt along, which means there’s another quilt that I think I MUST make. Breathtaking. Ok, so this might be a sickness. 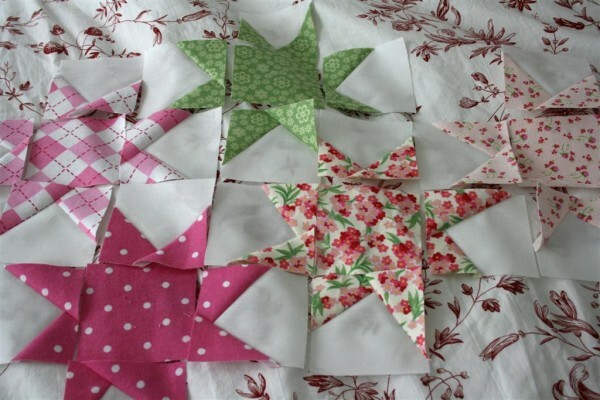 I love all these quilts. Back on my own sewing table, I’m working at the baby quilt you all gave me opinions on a couple of weeks ago. It’s a simple pattern, from the Sparkle Punch quilt along over at Oh Fransson, and although it’s easy I’m finding it to be slow going. Lots of trimming is the reason. Still, I really hope it will be cute and worth it in the end, if the baby isn’t too old by then, that is. This is my first experiment with “wonky” sewing. It’s not too hard, and I think it will be really cute. 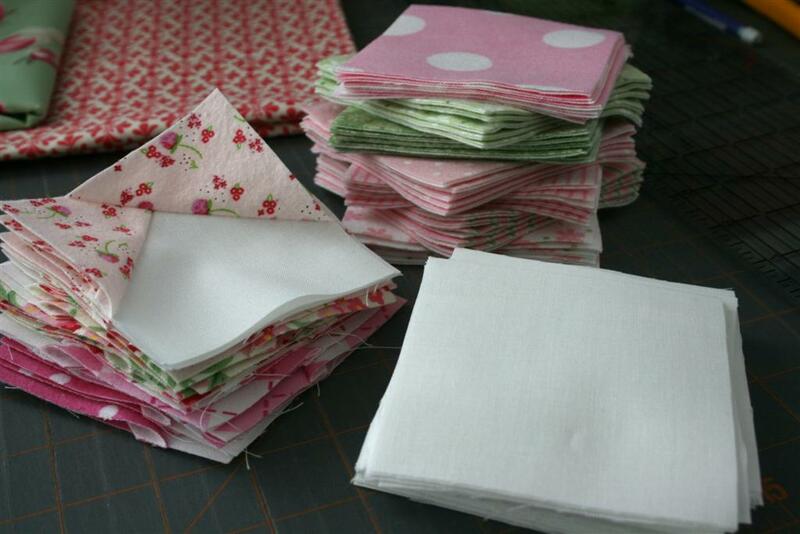 I’m still working through my cute little stack of fabric. Now there’s just one problem: where on earth to find the time? I suppose that’s a much better problem than having time and nothing to do. 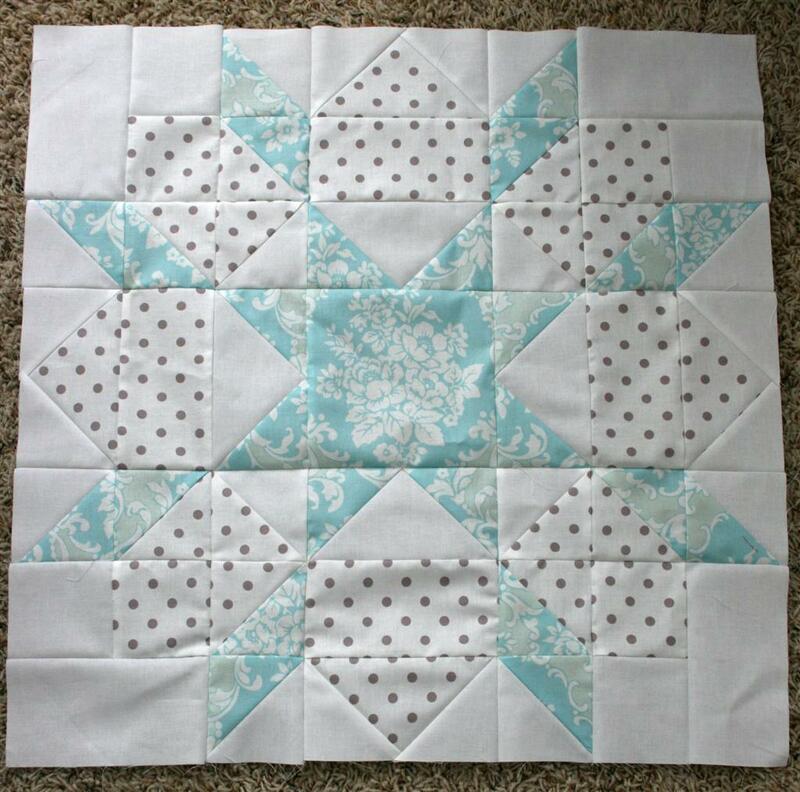 I was totally debating doing the swoon along- I love how big they are. way to go.